Bob couldn’t recall who first had the idea to use a mountain bike ride/race as a fundraiser for the York fire department, and he’s been living there since 1991. He did know that back then the volunteer firehouse, important in a tiny community at the end of a dirt road, 30 miles from town and surrounded by ponderosa forest, had an annual budget of 3,000 dollars. The recent York 38 rides have raised around 10 grand, not bad for a ride in a place even most people in Montana have never heard of. It was Amber’s idea to do the ride in the first place. While I’ve been hiking this summer, she bought a new bike and has been riding it, hard. We drove down Friday afternoon, camped at Bob’s house up in the woods, and got started at an early but leisurely hour. You can start the 38 mile ride anytime you like between 7 and 9. The first mile and change are the steepest, most sustained climb on the route. We did not warm up, and it didn’t take long before I realized I’d need to let Amber and Adam go and ride my own pace. Even so, it was a rude start and it took a further ten miles of rolling dirt road and gentle climbing before my legs felt like themselves. All but 7 miles of the 38 Special are on dirt road, and 4 of those miles are paved, so it’s not quite a proper mountain bike ride. The three miles of singletrack are outstanding, and the views on the rest of the route are even moreso. The Big Belt Mountains are by Montana standards small and dry, with open pine forests and sawtooth limestone escarpments opening up to the sky periodically as they march their way south to north. The route heads north from York itself, which consists of a bar, park, the aforementioned firehouse, and 10 houses, over two drainages. The second is followed through the heart of the range, steady climbing up an increasingly narrow canyon, before sufficient elevation allows the country to open up and steeper switchbacks head south, into meadows, aspens, and the high point of the route. I have to confess that I don’t many specific recollections of that part, as I was determined to meter my effort up the rolling climb. With almost nothing but descent afterwards, there was no point in leaving much in the tank, and even with minimal fitness, habit took over and I was deep into serious ride mode. The descent finally felt like a mountain bike ride, with plenty of curves, loose rock, ruts, and the consequent opportunities to flat or crash. I’ve had a lifetime of concussions already, so fun was tempered with foresight. The slightly downhill singletrack, with rocky stream crossings and blindingly narrow canyon walls in the shades of peripheral vision, passed in a blink, and I was back on dirt road. The singlespeeders bane: a subtle and rolling downhill. I drank the last of my water, milked the steeper sections tucked atop the toptube, and spun past my limit on the flatter parts. My legs ached, and the large wooden signs, placed without fail every mile, ticked past. Soon enough I was past the line and off the bike on my back in a gravel parking lot, remembering how much cycling can ache all the way from skin to marrow. It was fun to make a reacquaintance. 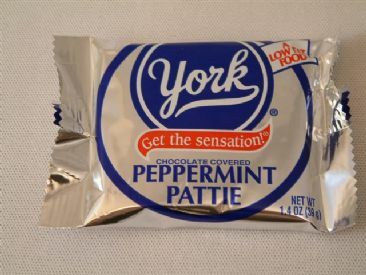 And yes, our free cheeseburgers in the York Bar that afternoon came with name-brand peppermint patties. Love me a post-ride burger at the York Bar. Some good options out there for sure although I’ve not ridden the 38 route specifically. Thanks for sharing, Dave.